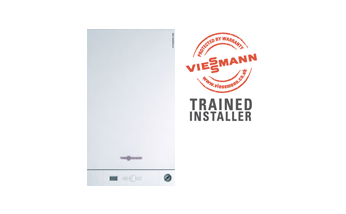 Viessmann Vitodens 100-W has now won the Which? Best Best Buy UK Combi Boiler for the 2nd year running in 2018. These condensing gas boilers are one of the highest efficiency boilers available not only in the UK, but around the world. They also sit at an attractive price point compared to other boilers available in the UK. That often times gives people the impression that it’s a cheap boiler. But Viessmann Boilers are one of the most technologically advanced boilers available in the world at the moment. How do Viessmann manage to keep the price low, and more importantly, is this boiler any good? Let’s find out. With their compact dimensions, low weight and quiet operation, the attractively priced Vitodens 100-W gas condensing boilers will integrate effortlessly into any living space. The modulating ratio over the entire output range is up to 1:6. This high ratio makes these boilers particularly suitable for use in small apartments and well insulated buildings. The user benefits from fewer appliance start-ups and therefore less operating noise. Because a lower level of stress is placed upon the appliance, the service life of components is consequently extended. As a major manufacturer, with many years of experience in the manufacture of wall mounted boilers we know what matters. Even when attractively priced, our standards of product quality and performance are consistently implemented. Therefore Viessmann wall hung boilers are not only renowned for innovative technology and services, but particularly for reliability and longevity. Modernisation of decentralised heating systems within the housing sector usually leads to elaborate renovations. 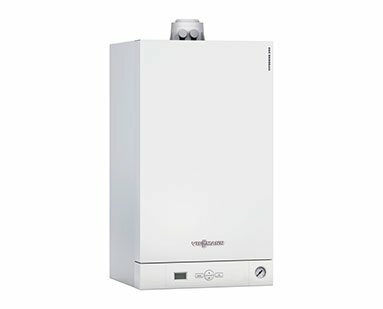 With the Vitodens 100-W gas condensing boiler from Viessmann, end of life heating devices can be quickly and easily replaced. Using a Viessmann combined flue system (CFS) means numerous boiler flues can be routed up the riser to one roof termination point. 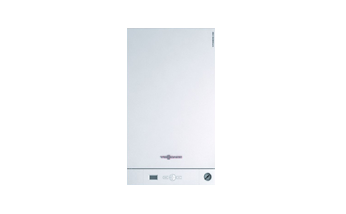 The Vitodens 100-W boilers have combined PRV and condensate connections that can also be routed in to the CFS, and one single drain at the base of the system is all that is needed to remove the condensate, without unsightly pipes protruding through the external walls.